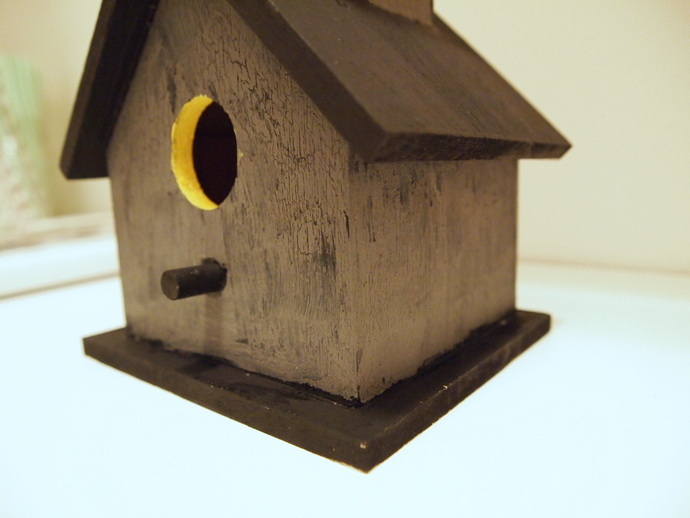 At my baby shower, one of the goodies I got to take home was a birdhouse. I picked a fancy Victorian style one with no plans of what to do with it. Then a few weeks age I was at Michael’s and it dawned upon me. My husband laughed when I told him about my idea. Sometimes he cannot see my visions of absurdity creativity. 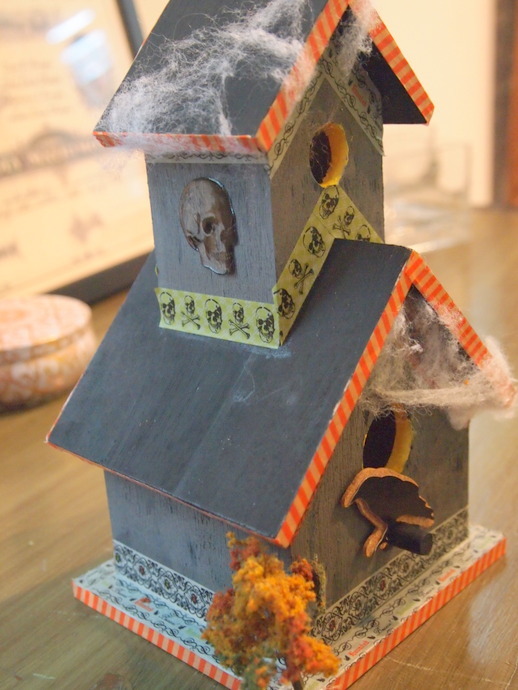 I picked up some Halloween themed Washi tape and stickers from Michael’s to help bring together my birdhouse. I had much of the paint at home from past projects. 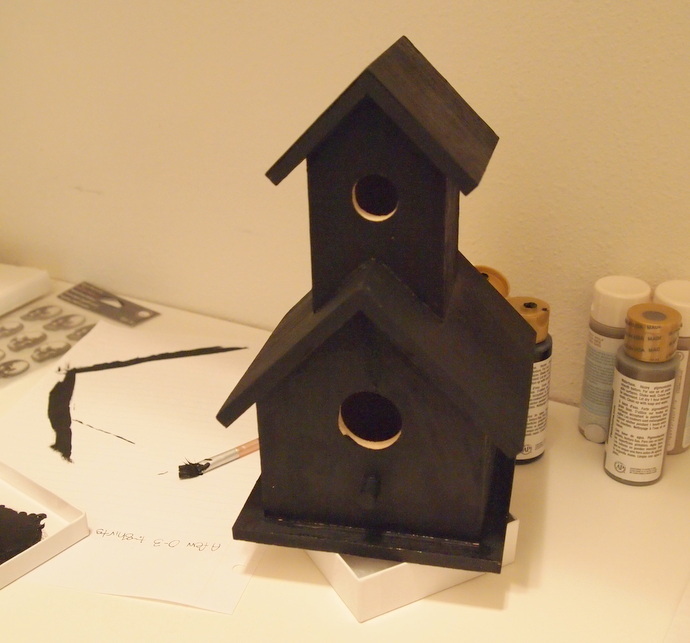 To start, I painted the entire birdhouse black. 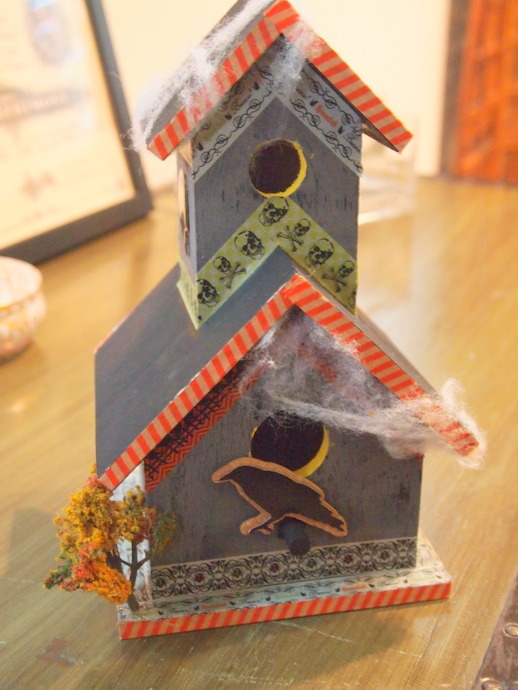 Next, I added a crackle coat (I did this last year on a reindeer) and then a top coat of gray on the walls of the birdhouse, which gave the house an aged effect. 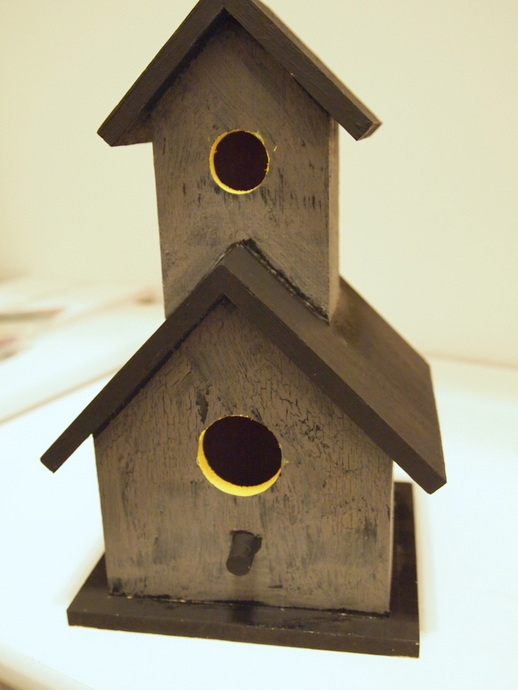 I left the roof black for the contrast and painted the bird openings yellow. 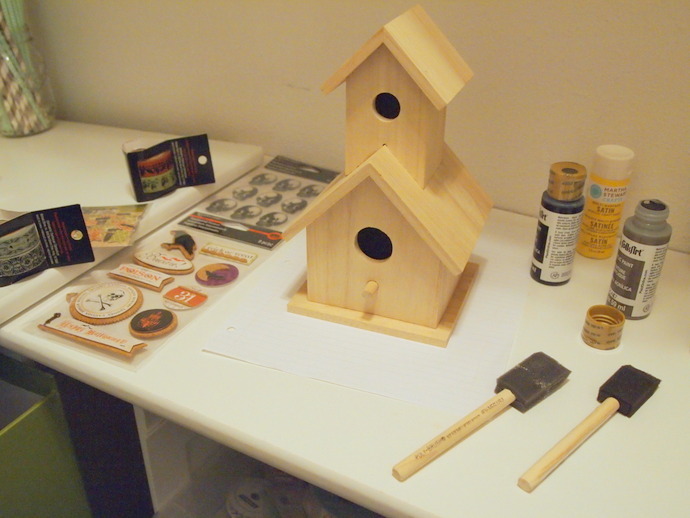 Once the paint set, I went to town with the Washi tape. 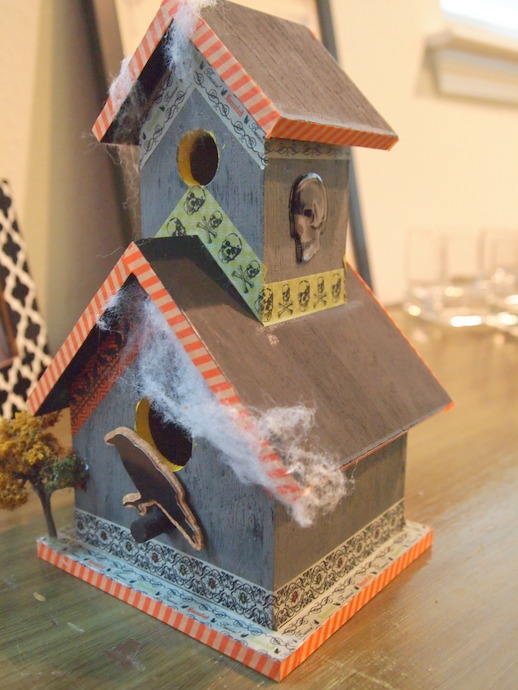 I added a fall foliage tree I picked up from Beverly’s and a little cobwebbing that I made from the stuffing of a gift box. I realized a few stickers go a long way, so I only used a few of what I picked up the other week. I think Edgar Allen Poe would be pleased.